All electronic communications ear plugs are suitable for even the noisiest of environments, and all models support excellent situational awareness capabilities so you know what's going on around you even while wearing your hearing protection, for superior all-around safety. 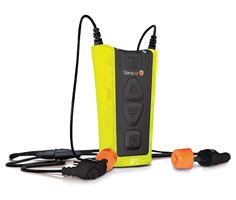 Interested in electronic communications ear plugs but not sure which model is right for you and your business? Have other questions? We are here to help: !